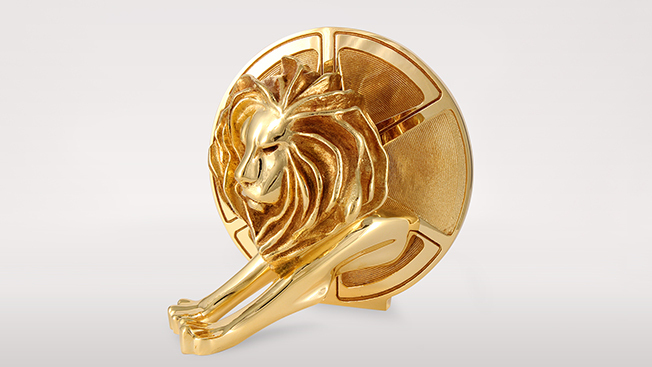 The Cannes Lions festival has today named the nine jurors responsible for awarding its inaugural Glass Lion, or Lion for Change. Launched with a focus on gender, the new award will celebrate work that "breaks through unconscious gender bias" and "shatters stereotypical portrayals of men and women." Cindy Gallop, founder of IfWeRanTheWorld and former chief of Bartle Bogle Hegarty New York, serves as jury president for the new award. "I want every single creative in every country around the world to desperately want to win the Glass Lion," said Gallop in a statement. "The work that wins this award represents The New Creativity: the gold standard for creative and socio-cultural change in our industry." Gallop is joined by Marcello Serpa, partner and co-president of the board for AlmapBBDO in Brazil; Catherine Emprin, managing director of BETC in France; Tista Sen, national cd and svp of JWT in India; Laura Jordan Bambach, creative partner of Mr. President in the U.K.; Nick Bailey, CEO and ecd of Isobar in the U.K.; Susan Credle, CCO of Leo Burnett in Chicago; Gail Heimann, president of Weber Shandwick in New York; Jennifer Siebel Newsom, founder and CEO of The Representation Project; and Elizabeth Nyamayaro, senior advisor to Under Secretary-General of UN Women and head of the @HeForShe Campaign. "It's no secret that one gender and one viewpoint is over-represented in our industry, which means inevitably a certain viewpoint is over-represented," said Bailey in a statement. "The Glass Lion seeks to redress that by recognizing work that holds a mirror up to the world as it really is, rather than just as a minority of people see it. "That's why it's particularly exciting to see not just a truly international mix in the jury, but also a mix of viewpoints from both within and from outside our industry." While the award will initially spotlight gender, festival organizers said it could highlight other cultural issues down the line.